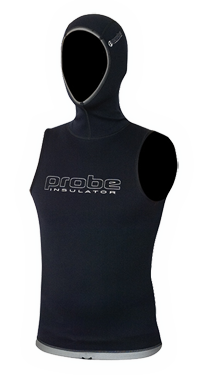 Probe Unisex INSULATOR S/LESS HOODED vests are made from 0.5MM METALITE TITANIUM lined neoprene that helps maintain your core body temperature, keeping you in the water longer. 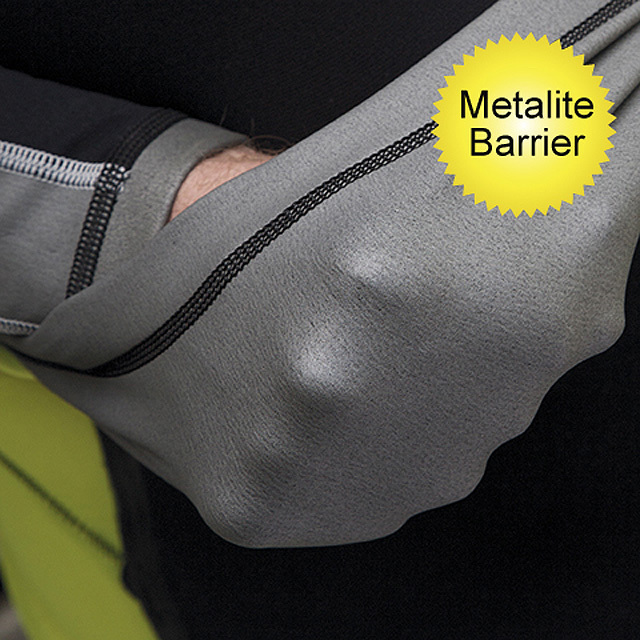 They have an attached hood, flat-lock seams and lycra underarm gussets for extra comfort. They also come with a cord waist tie for a secure fit. 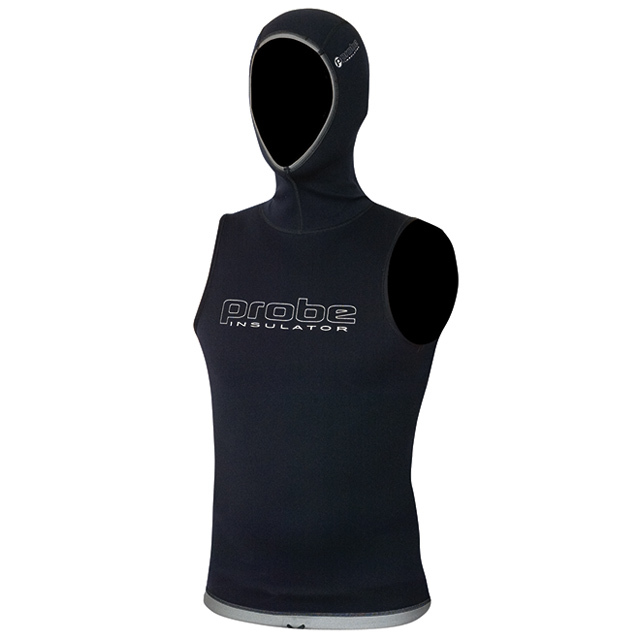 An excellent, economically priced thermal vest ideal for warm water diving, spearfishing and snorkelling. They can also be worn under your current wetsuit as a thermal undergarment for extra warmth.